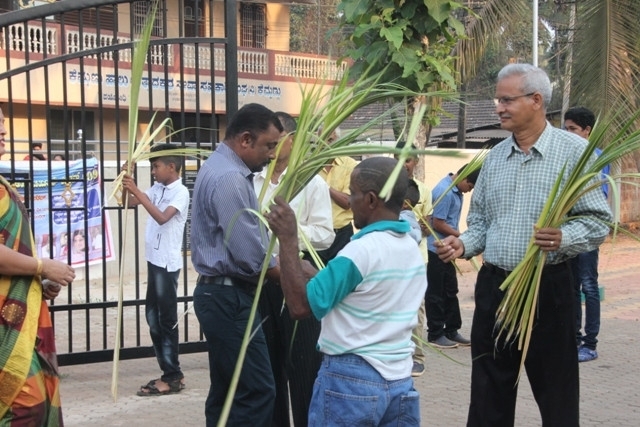 Kemmannu.com | Palm Sunday observed at Kemmannu Church. 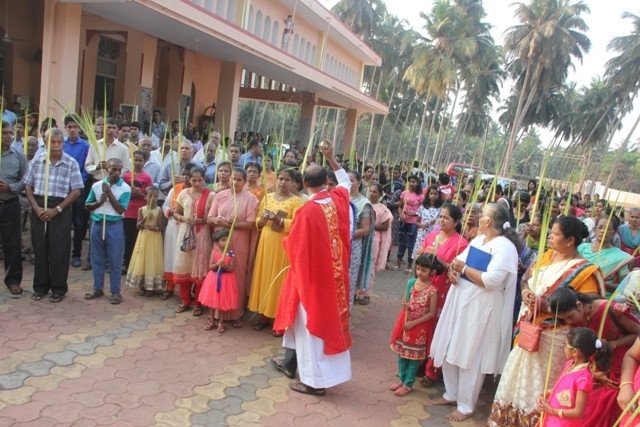 Palm Sunday observed at Kemmannu Church. 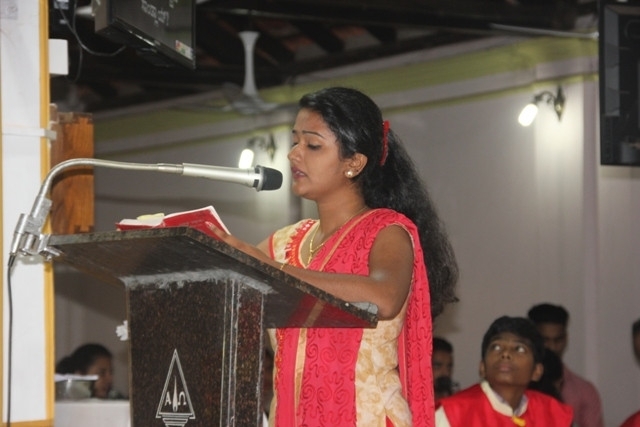 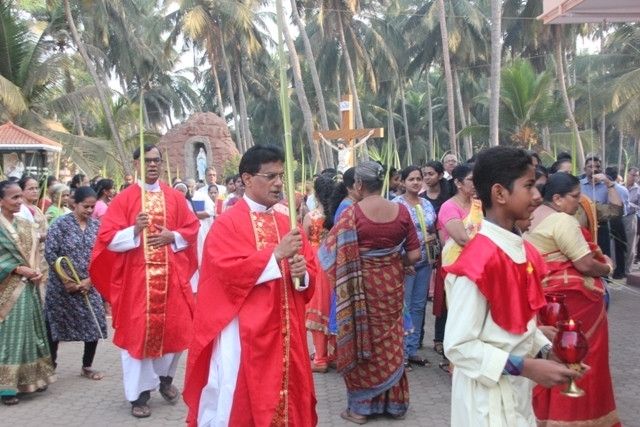 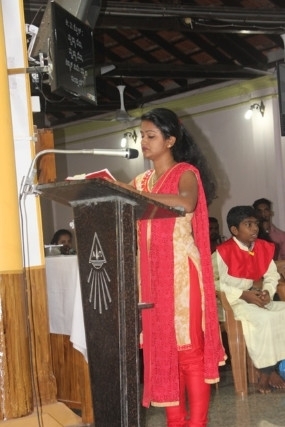 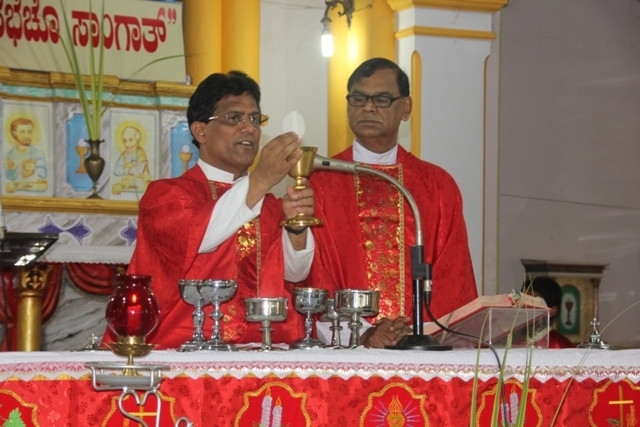 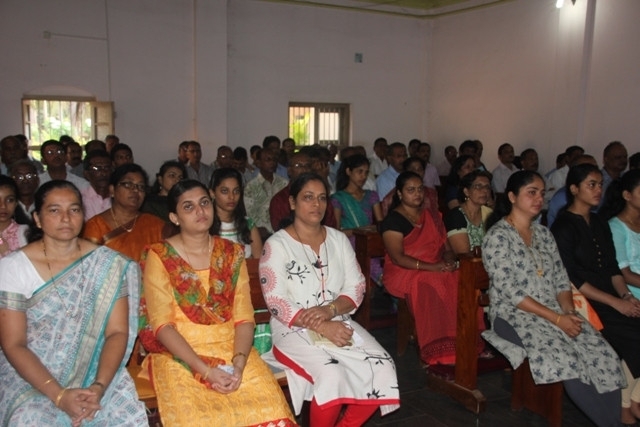 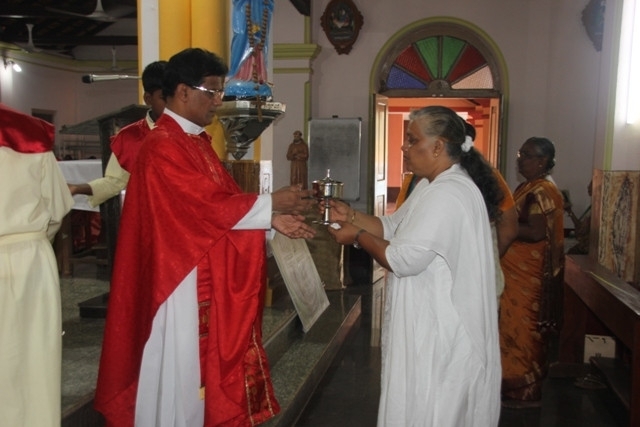 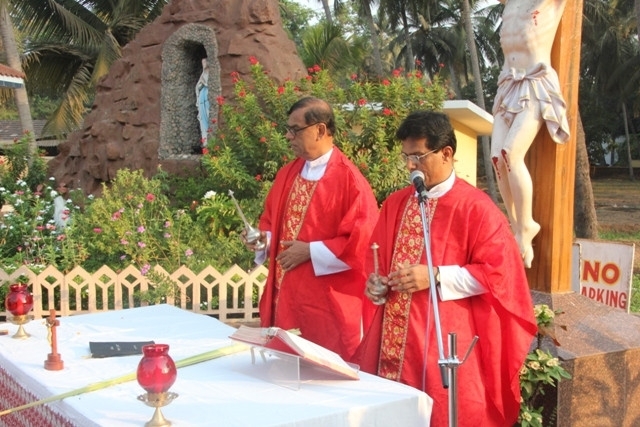 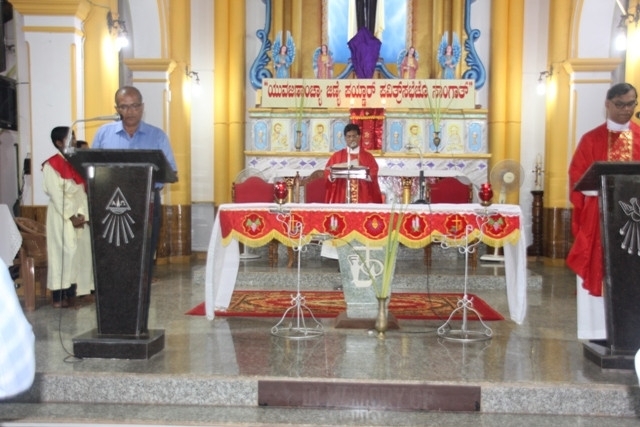 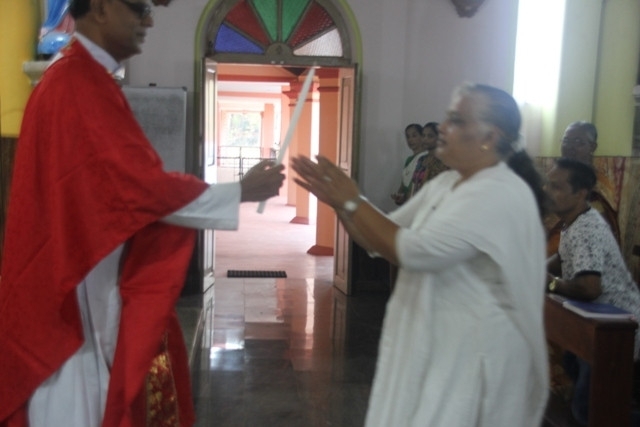 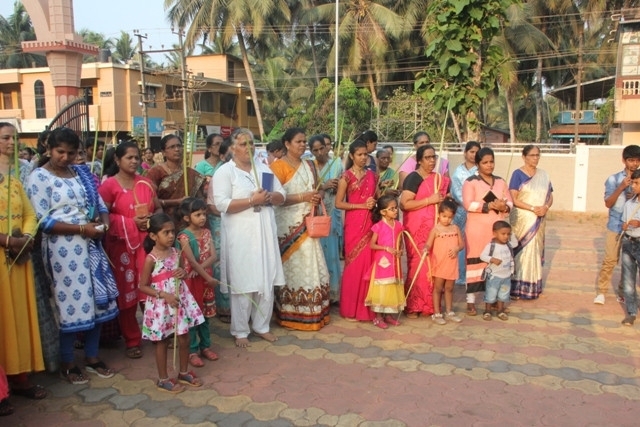 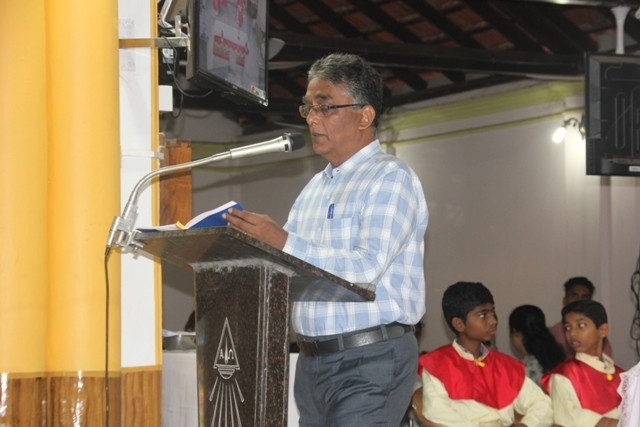 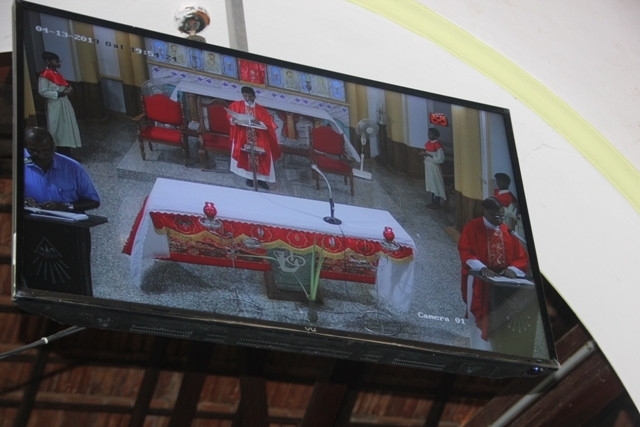 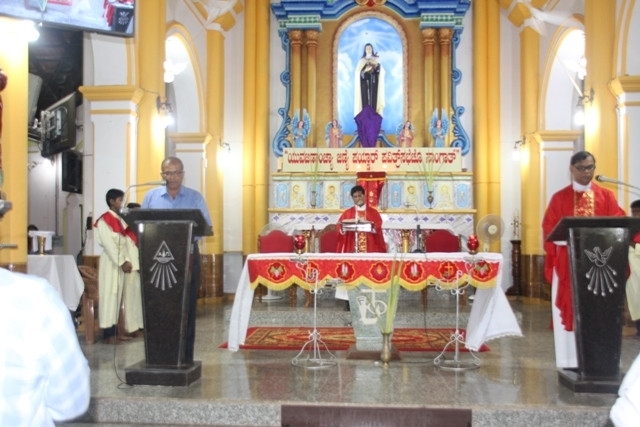 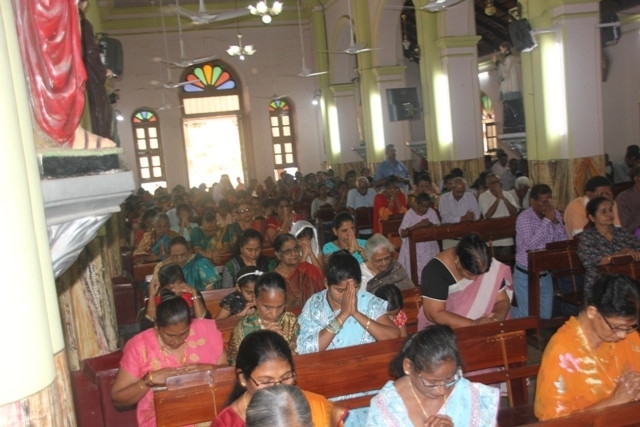 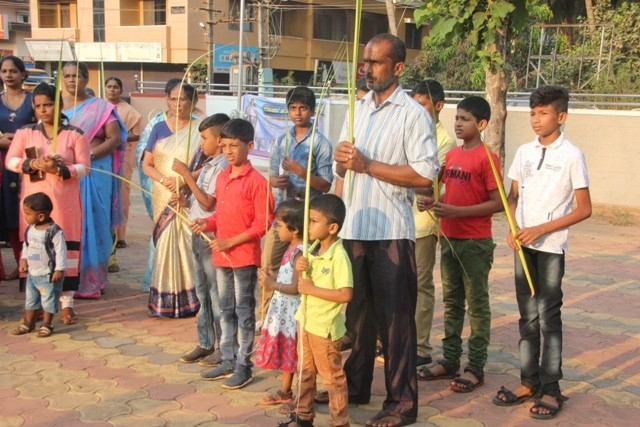 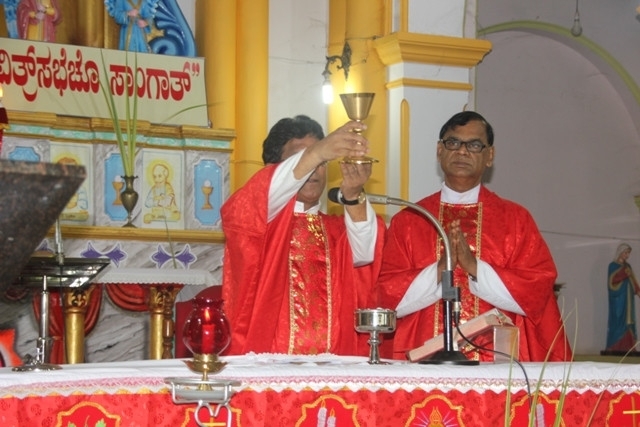 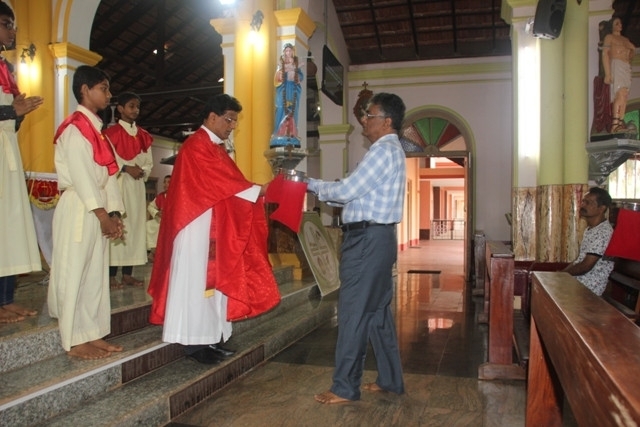 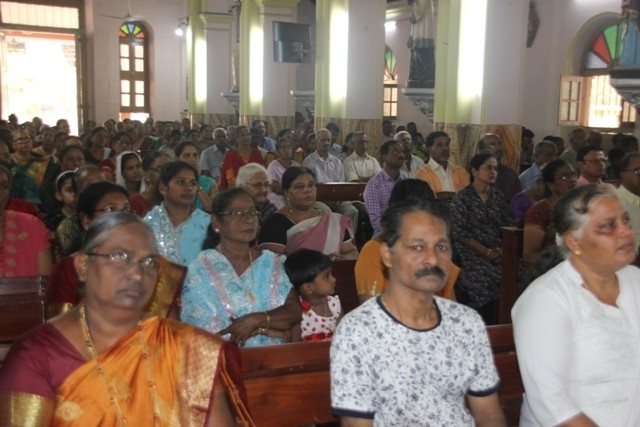 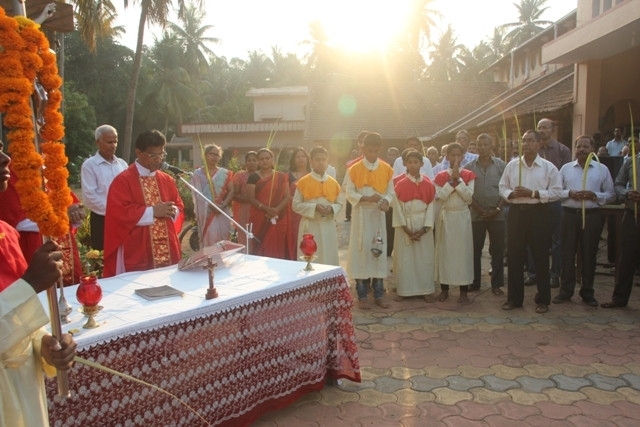 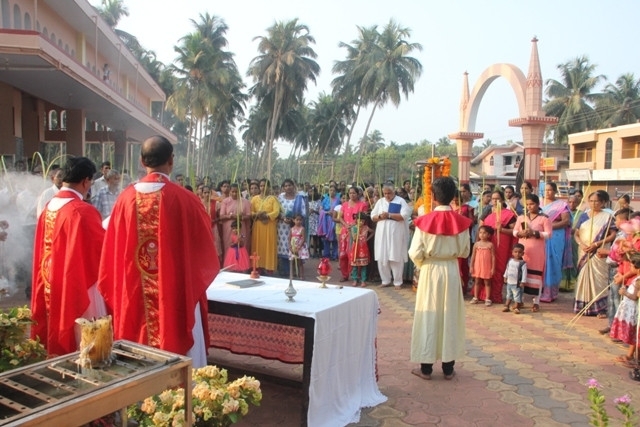 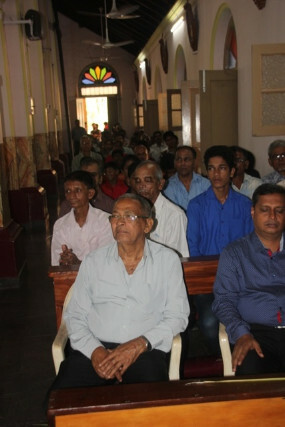 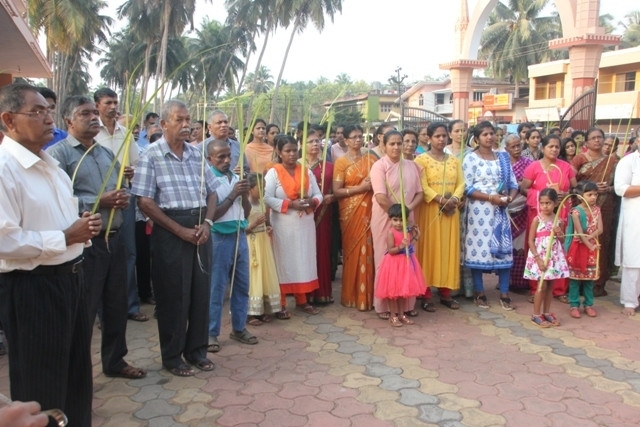 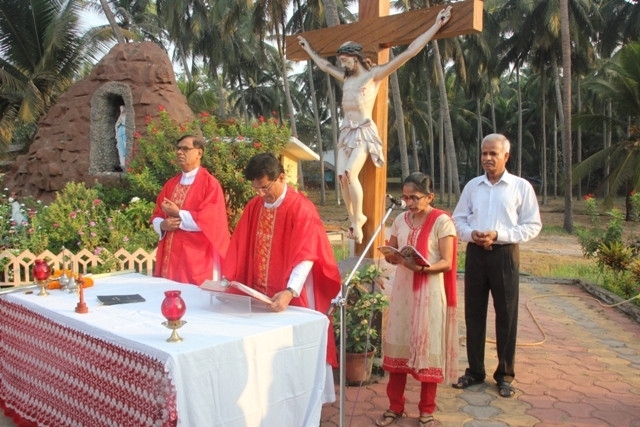 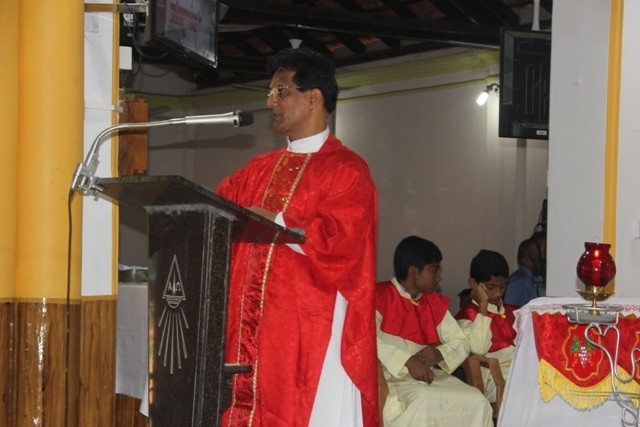 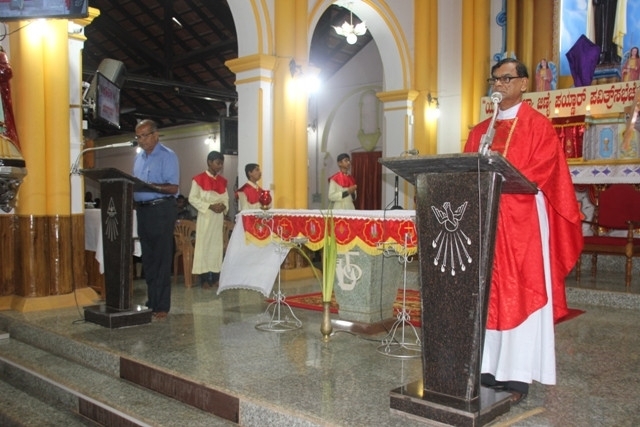 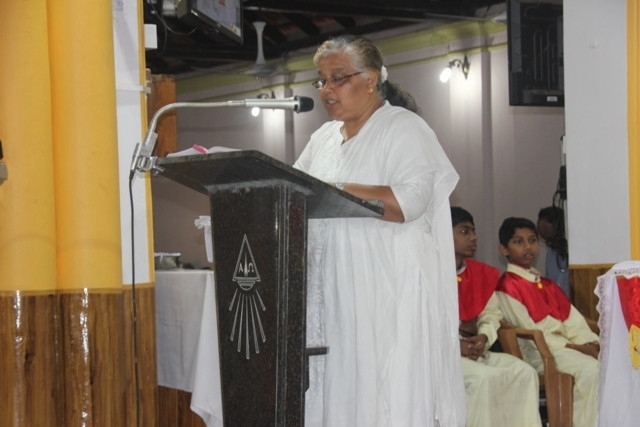 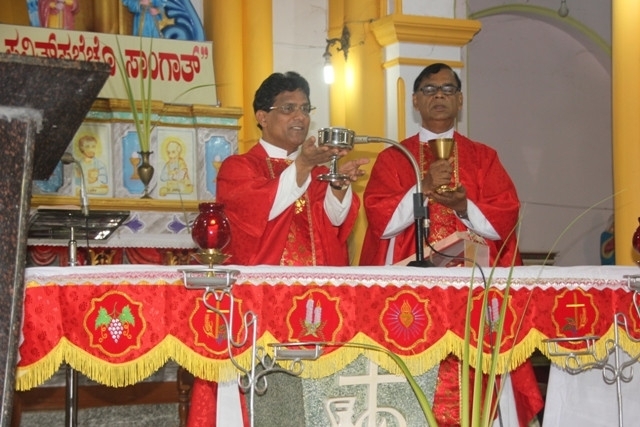 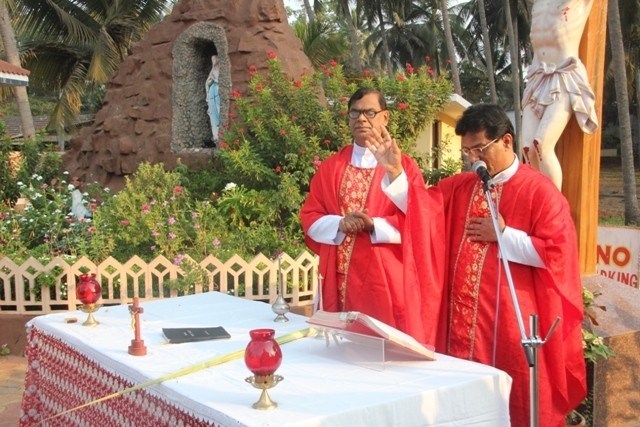 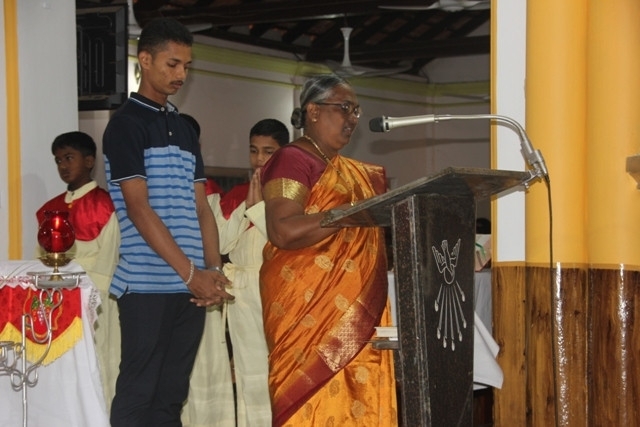 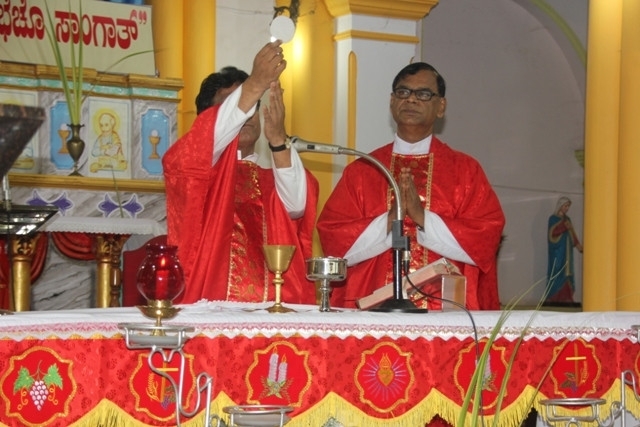 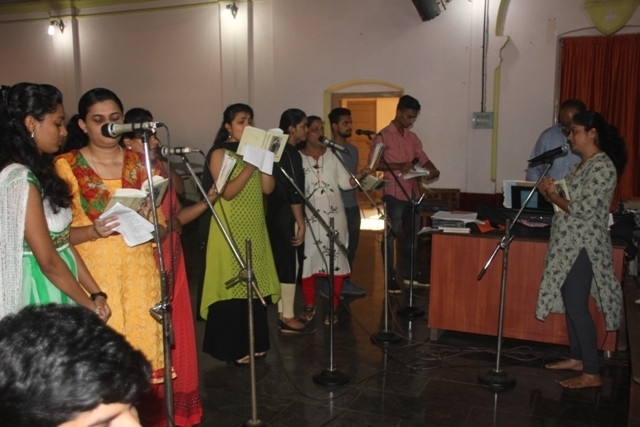 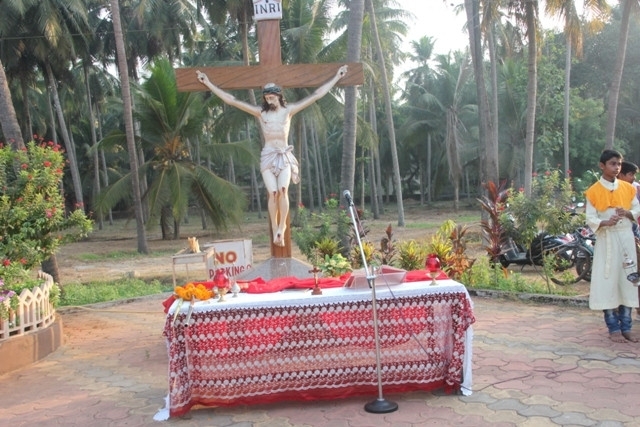 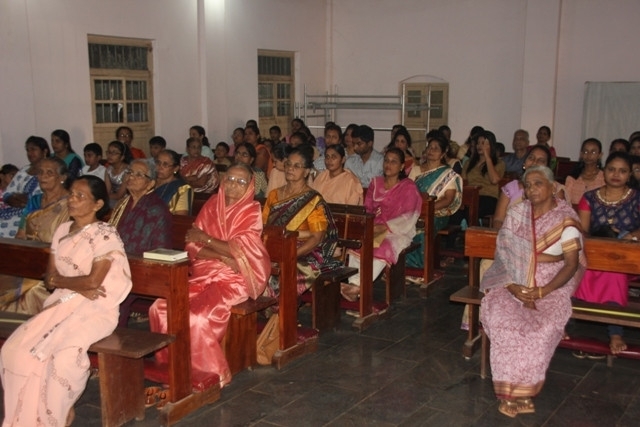 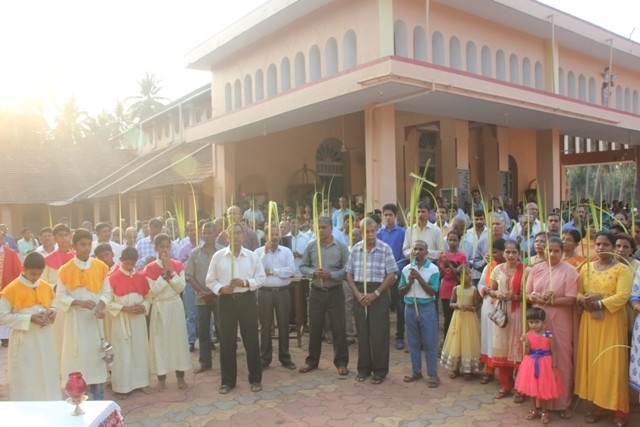 Kemmannu, April 14, 2019: As a prelude to the holy week, Kemmannu parishioners took part in the celebration of Palm Sunday. 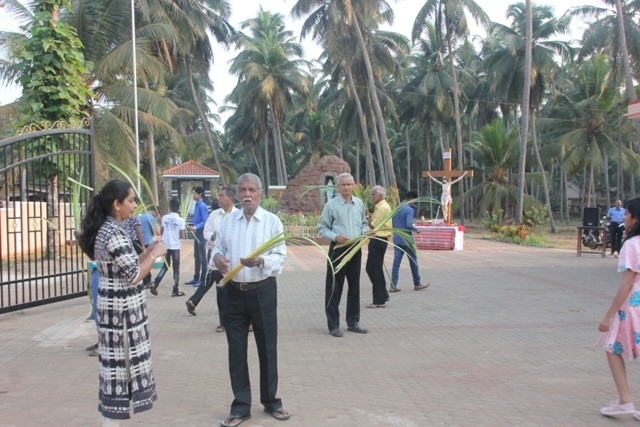 The palm leaves were blessed at the Church compound in the morning. 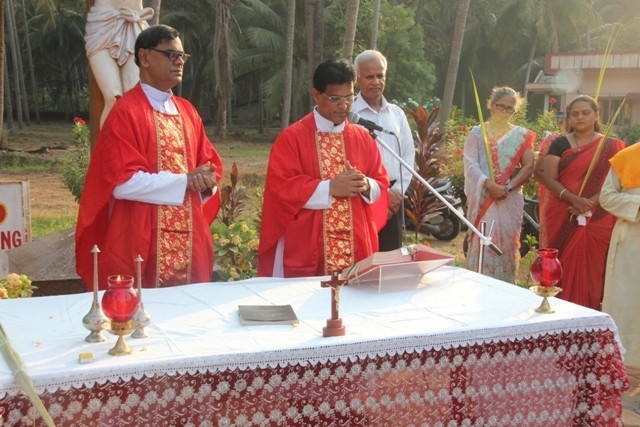 Resident Priest Fr. 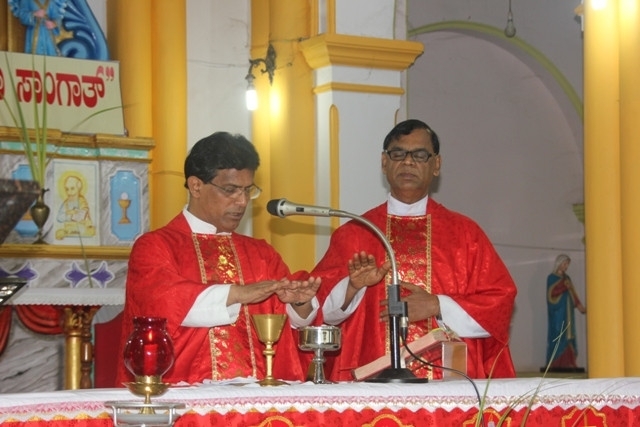 Herald Pereira along with Parish Priest Fr. 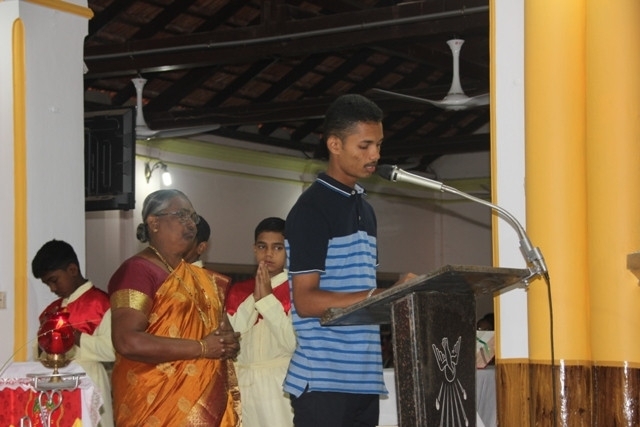 Victor D Souza led the brief prayers before the blessing. 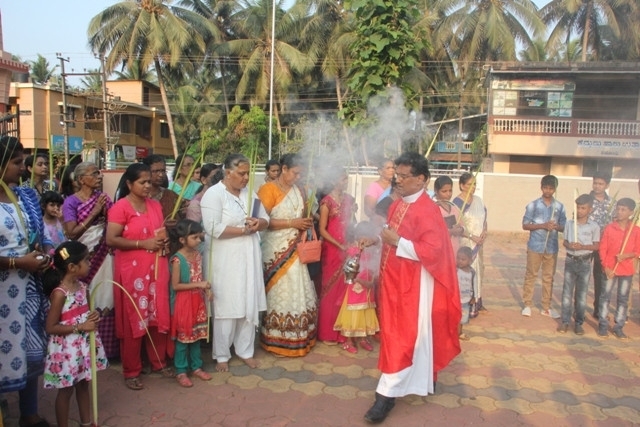 Holy water was sprinkled on the palm leaves and people proceeded to the church in a disciplined procession. 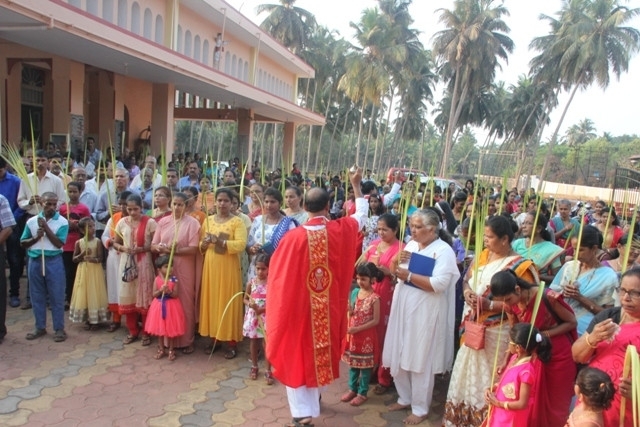 The Bible reveals that when Jesus entered Jerusalem, the crowds greeted him by waiving palm branches and covering his path with palm branches. 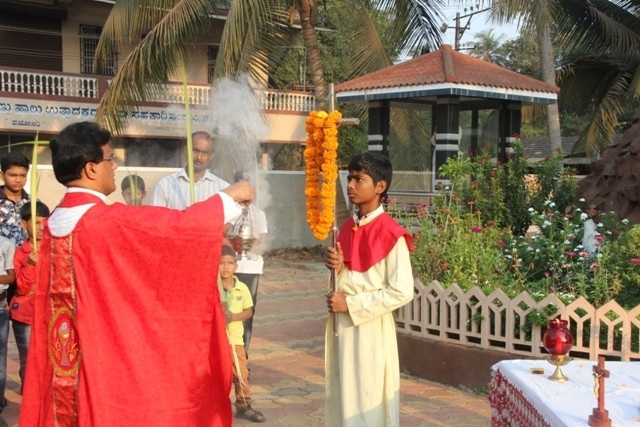 Immediately following this great time of celebration in the ministry of Jesus, he begins his journey to the cross. 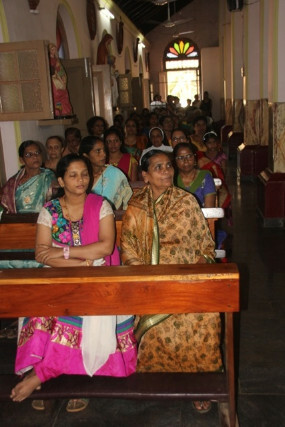 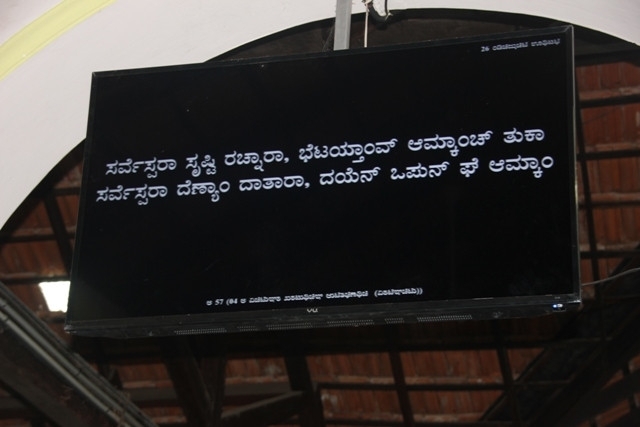 In the holy week that follows, in Kemmannu Church Thursday’s service will begin at 5.30 pm and 4 pm on Friday. 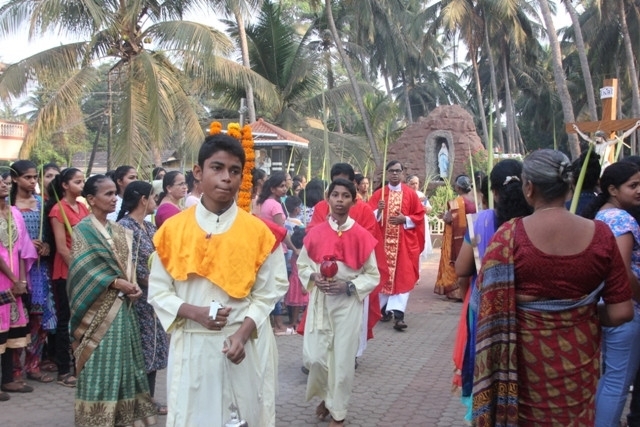 Easter celebratory mass shall be held at 7 pm on Saturday evening.